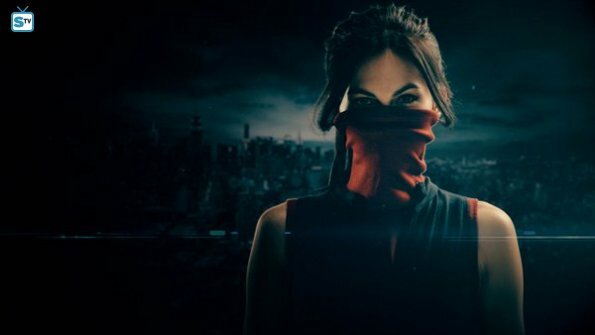 Daredevil Season 2 Elektra Natchios "The Punisher" Official Picture. . Wallpaper and background images in the Daredevil (Netflix) club tagged: photo daredevil season 2 elektra natchios. This Daredevil (Netflix) photo might contain サングラス, 色合い, ダークグラス, シェード, 看板, ポスター, テキスト, 黒板, and サイン.